"Teachers who love teachıng teach chıldren to love learnıng." Short bio on British Council- BBC Teaching English Website. 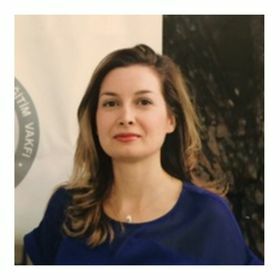 "Ceyda Basmacı has been in ELT for 15 years. She graduated from Linguistics. She had Teacher’s Methodology Course in Southampton, UK. She’s a teacher and a teacher trainer. She is CELTA qualified, an MIE and doing MA in English Language and Teaching. She received Quality Awards via multinational projects. She’s into Tech and PD. She has a website http://www.ceydabasmaci.com/"